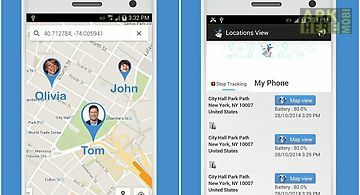 Fertility friend tracker app for android description: Fertility friend is the most trusted and accurate fertility tracker. This app is an advanced ovulation calculator menstrual calendar fertility chart and period tracker. It works to help you get pregnant because it interprets your own personal fertility signs. Fertility friend creates an exclusive fertility chart and ovulation calendar with personalized trying to conceive tips and analysis. Track your period and other fertility signs (basal body temperature bbt cervical fluid symptoms etc). 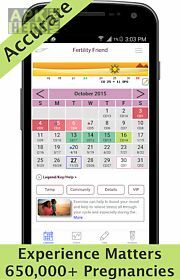 Fertility friend will alert you to your ovulation date and the best days to conceive and offer personal timely insights. 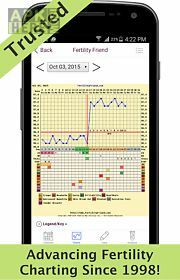 Fertility friend will quickly teach you how to track your fertility signs show you what they mean and display your ovulation and fertile days on a calendar and a fertility chart. Fertility friend includes extensive education advanced tools and tips to give you the knowledge you need to feel confident and empowered. Fertility friend s fertility tracker is the perfect complement to the website. Experience matters: 650 000+ pregnancies (and counting!
) The most sophisticated accurate and comprehensive analysis of your fertility signs. Color coded fertility calendar: your period fertile days ovulation and more at a glance. Fully integrated with the website. Benefit from accurate ovulation prediction automatic ovulation detection bbt chart pattern analysis and an extensive set of features on the web site. No sync or upload of data required. Optional short passcode to protect your fertility tracker app from unwanted attention. 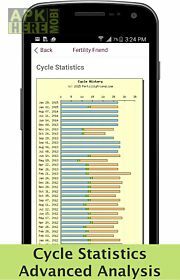 Cycleplus is a menstrual calendar a period tracker an ovulation chart and a fertility chart interpretation tool. 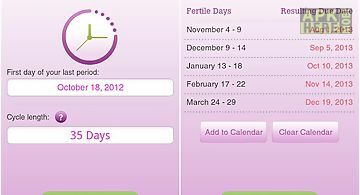 It is the perfect complement to the websit..
Glow is the world s best period and ovulation tracker fertility calendar app. 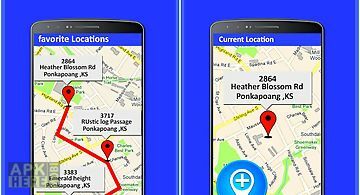 Glow helps women learn about their fertility and improve their reproductive h..
App2find is the app to find friends colleagues and family. 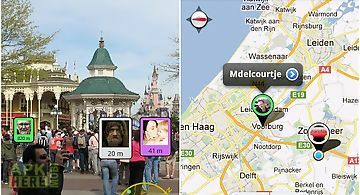 Besides the obvious map option app2find also offers the use of augmented reality (ar) so you can..
friends mobile location tracker helps you to track your family and friends mobile locations easily and accurately! 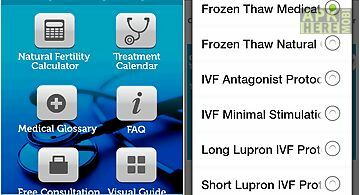 This free app has various premium featu..
My fertility lets you manage your fertility by tracking and charting multiple symptoms. 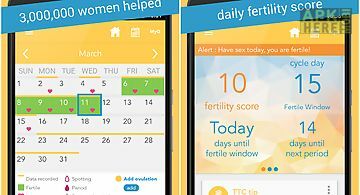 This powerful app will estimate your fertile time and calculate e i.. 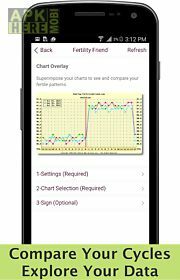 Fertility calendar is a great tool to control your monthly rate. Recording the date of the last cycle creating the story which you can easily get back. Cal.. Tip the odds of getting pregnant in your favor by tracking your most fertile days. Over 500 000 downloads! Super! 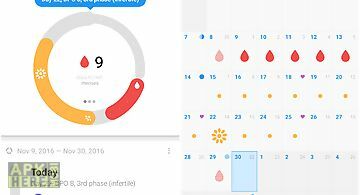 84 score on appsfire what our users are s..
Period fertility taken seriously: ovuview tracks and predicts your period ovulation and fertility using sophisticated sympto thermal methods (stm). This ap..
Ovia ovulation fertility is the most accurate ovulation calendar and period tracker. Know your fertile window and your fertility score each day of the mont.. 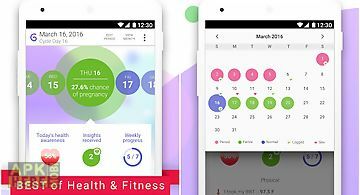 This app keep track of your menstrual cycles and to predict menstruation periods. ! The most simple app for woman!! User friendly and only useful informati..
Myfertilitydiary will help you manage your ivf treatment. Ivf treatment can be complex and confusing since it involves taking injections daily doing scans ..